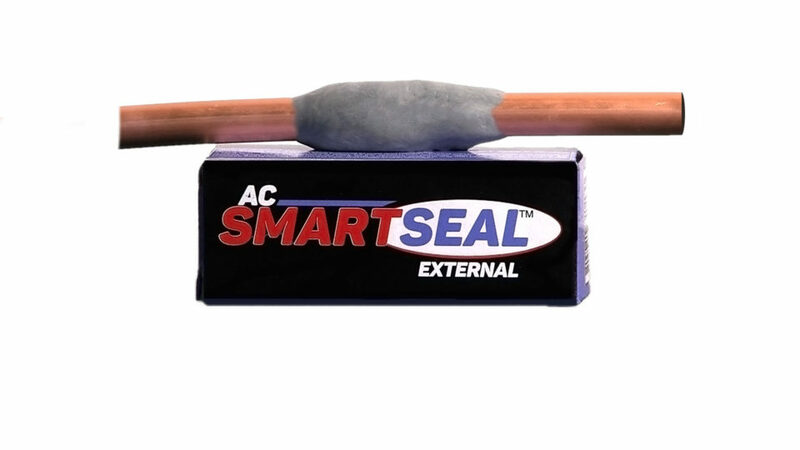 AC SmartSeal External™ is a leak stop suitable for any material. It effectively seals all types of leaks up to 5 mm. Specifically designed to be inert to all kinds of lubricants and refrigerant gases, EXTERNAL does not react to temperature changes. It has also been tested for new generation gases such as R1234yf and R1234ze. SMART SEAL External is also resistant to normal flushing liquids, and is resistant to temperatures from -100 ° C to + 270 ° C.
SMART SEAL External can be easily mixed by using two fingers. Once applied, the leak is closed. It is ideal for emergency sealing and does not disperse any residue into the system and, if necessary, it can be easily removed and once dried, the product can be sanded and refinished. SMART SEAL External usage can be combined with SMART SEAL: the operator can first seal the larger leak from the outside and then complete the sealing process from the inside with SMART SEAL. The two products are not only compatible, but also synergic. Find the leak by using the usual detection methods. Once the leak is identified, turn off the system, and clean the application area. Cut with a knife a quantity of Smart Seal External which is enough to create a ring around the entire diameter of the pipe in the area of the leak. Wear protective gloves and mix the two components for a while. The color must be uniform and you should perceive a slight sensation of heat. Apply the mixture directly on the leak area, let it adhere to the whole circumference with about .5 inches on each side of the leak area. 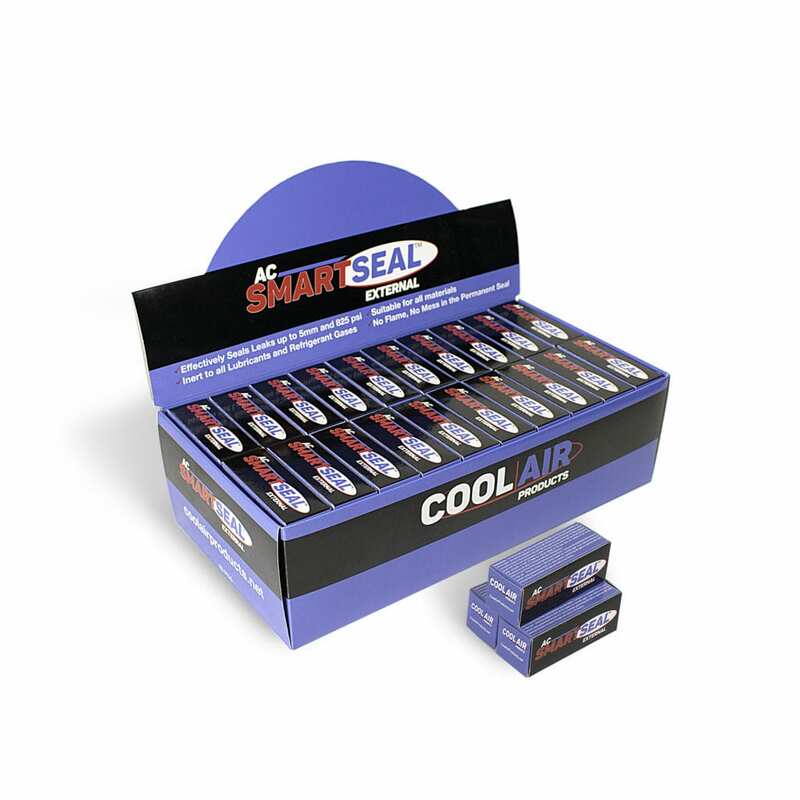 Wait 4-5 hours for the Smart Seal External to cure and harden. Curing can be accelerated with the use of a heat gun. Once the product is dried, let the system run normally again. If you need to remove the product, spray grease/seal remover on it, wait a moment, grab the ring with pliers or spanners with a little pressure that does not deform the pipe and rotate in one direction. * These are standard instructions. Like brazing, there can be many variables that come with sealing holes and cracks in the field with Smart Seal External. This includes material condition, environment, size of leak, pressure of system, and workmanship.